Véronique Bastian was born in 1984 in France. 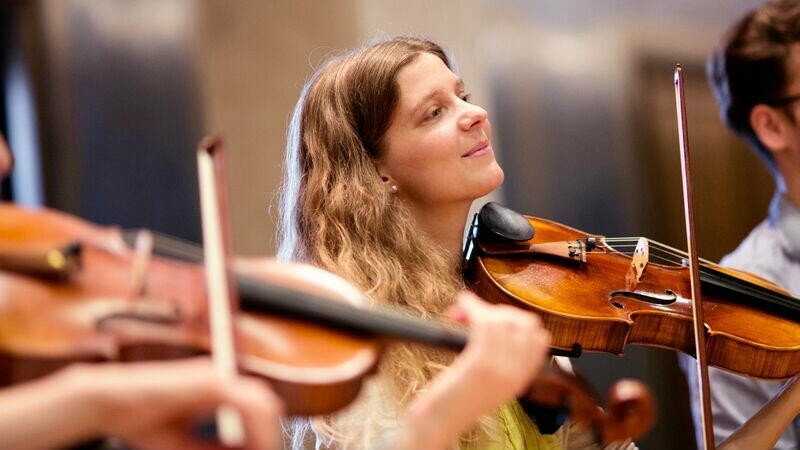 She received her first viola and piano lessons at the age of five. Later she also took bassoon lessons. The musician studied the viola in Saarbrücken and Detmold with Diemut Poppen as well as at the Mozarteum in Salzburg with Thomas Riebl. Véronique Bastian has been a member of the Young German Philharmonic, the Jeunesses Musicales World Orchestra and the Gustav Mahler Youth Orchestra, among others. In 2003, she won the Walter Gieseking Award in Saarbrücken. Between 2005 and 2007 she was a scholarship student in the Academy of the Symphonieorchester des Bayerischen Rundfunks, later she received a part-time contract with the Bavarian State Orchestra. Since September of 2009, Véronique Bastian has been a member of the Symphonieorchester des Bayerischen Rundfunks.